Fun Valentine's Day Craft Activity Button - Dr. Seuss' The Grinch - Now Available on Digital 4K Ultra HD, 3D Blu-ray™, Blu-ray™, DVD, and On Demand! Want to really impress your Valentine this year? Whip up a DIY Valentine Envelope and some Grinch Garland. I mean, that is if you actually have a Valentine. Hahaha! We have some adorable crafts for Valentine's Day that you can make and enjoy with your family this weekend! I'm going to be making these with my kiddos, and yes, we'll probably watch The Grinch for the 50th time, too! Be sure to tag us on social media if you make these cute Valentine's Day crafts. Don't be shy! Just give us a shout @mommysblockparty on Facebook or @mommysblckparty on Twitter and IG. 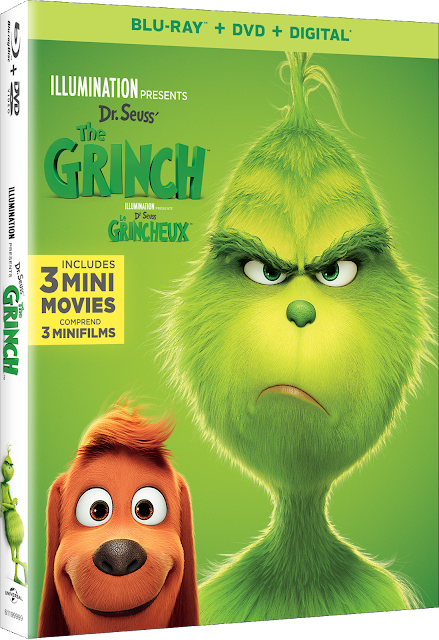 Don't forget to include #TheGrinch, too!